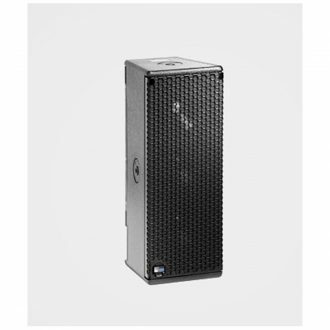 A low-profile high-power stage monitor with high intelligibility and ample low-frequency headroom. 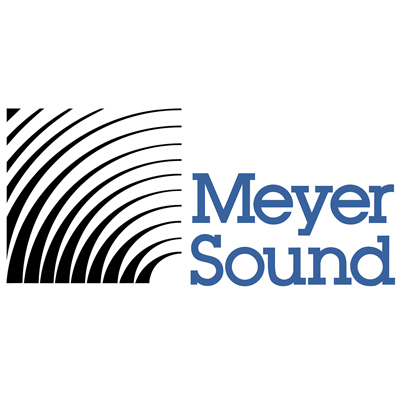 The Meyer Sound MJF-210 low-profile high-power stage monitor reproduces audio faithfully with high intelligibility at high output levels with ample low-frequency headroom. 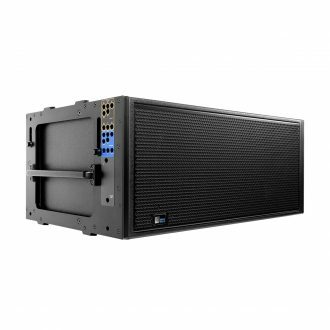 The self-powered MJF-210 exceeds the stringent requirements of today’s touring applications, withstanding the rigors of road and stage while occupying a small, lightweight footprint and a fraction of the truck space of similar monitors requiring external amplification. The MJF-210’s phase-corrected 55 Hz to 18 kHz frequency range ensures that vocals and instruments are reproduced accurately with low distortion and no signal coloration. 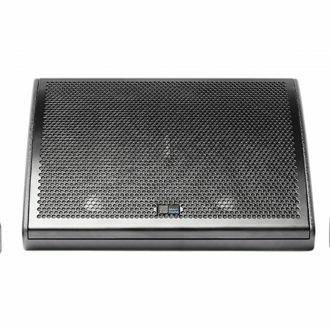 Exhibiting flat phase and frequency responses, as well as exceptional impulse response, the MJF-210 surpasses the sonic capabilities of conventional stage monitors while offering the simplicity of self-powered setup and operation. 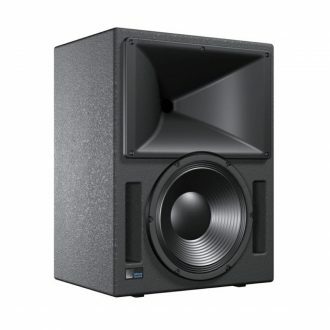 The MJF-210’s durable, vented enclosure houses two high-power, long-excursion, 10- inch low-frequency drivers, as well as a 4-inch diaphragm compression driver coupled to a 50-degree horizontal by 70-degree vertical constant directivity horn. 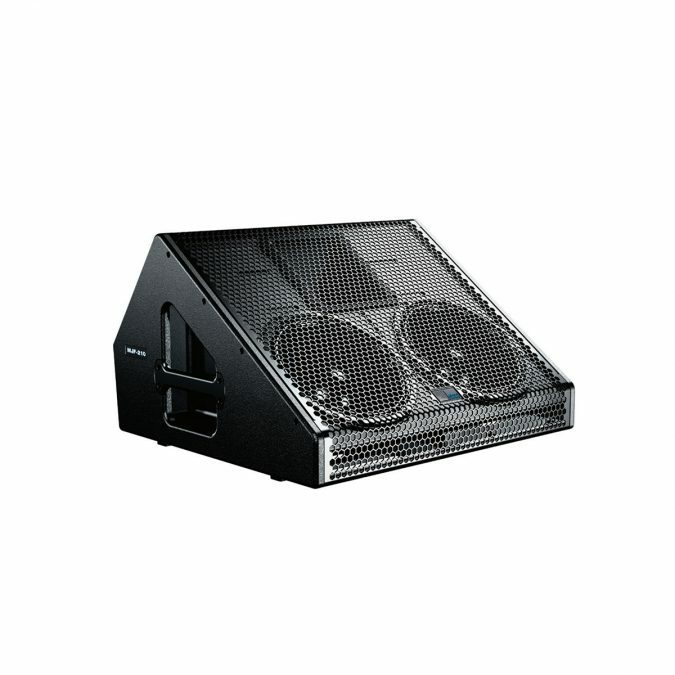 The face of the low-profile cabinet slopes 35 degrees from the stage, ensuring optimal monitoring for the performer, permitting freedom to move upstage and downstage while remaining within the horn’s consistent, wide vertical coverage. Drivers are powered by a 3-channel, class D amplifier. The Intelligent AC power supply provides automatic voltage selection, EMI filtering, soft current turn-on, and surge suppression. The optional RMS remote monitoring system module provides comprehensive monitoring of loudspeaker parameters from a Mac or Windows-based computer. Optional XLR 5-pin connectors allow the use of composite cables carrying both RMS and balanced audio. 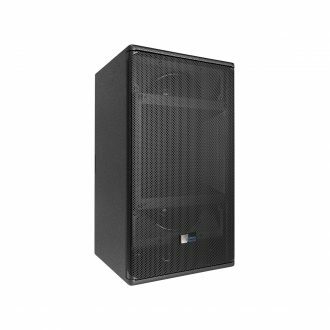 Constructed of premium birch plywood, the MJF-210’s cabinet is coated with a blacktextured finish and includes protective rubber strips on the bottom of the unit that prevent changes in position due to vibrations. A hexstamped steel grille lined with acoustical black mesh protects the drivers. 1. Recommended maximum operating frequency range. Response depends on loading conditions and room acoustics. 2. Half-space loading, measured with 1/3-octave frequency resolution at 4 meters. 3. At this frequency, the transducers produce equal sound pressure levels. 4. Audio connectors available as XLR 5-pin or XLR 3-pin. XLR 5-pin connectors accommodate both balanced audio and RMS signals. 5. Pins 4 and 5 (RMS) included only with XLR 5-pin connectors. 6. AC power cabling must be of sufficient gauge so that under burst current rms conditions, cable transmission losses do not cause the loudspeaker’s voltage to drop below the specified operating range. 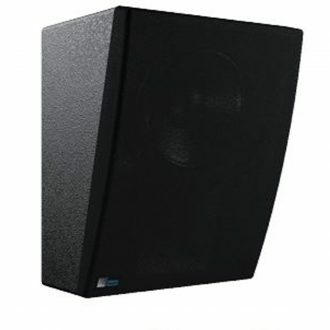 Features 3-channel Class D amplifier, two 8-inch cone drivers and Two horn options. 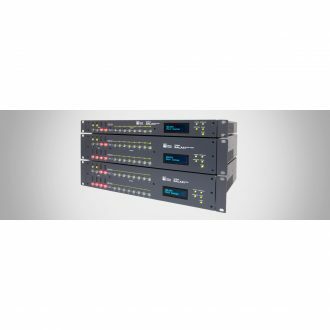 Galileo GALAXY harnesses open-source AVB technology to extend a new level of audio control in driving and aligning loudspeaker systems with multiple zones. The HMS cinema surround loudspeaker is optimized for use in cinemas, high-end private theatres, screening rooms, and other surround applications. At the heart of Meyer Sound's EXP line of cinema products are the Acheron high-performance screen channel loudspeakers.